Readers certainly know my ASM80 – online assembler / IDE for eight-bit processors. I made several derived versions, like single page compiler, embedded version of the translator (I used it in tutorial Stroják.cz), or a stand-alone IDE. The good old command line assembler is here now too. The prerequisite you have to meet is a functional Node.js environment. It is not complicated, it exists for all major platforms, and you can download it here: nodejs.org. During installation, package manager called NPM is installed too. launches translation for file test.a80 and the result will be two files: test.hex with output and test.lst with the translation protocol. Extension .a80 tells the compiler to use the processor’s instruction set for Intel 8080 CPU. Behaviour can be influenced by parameters. 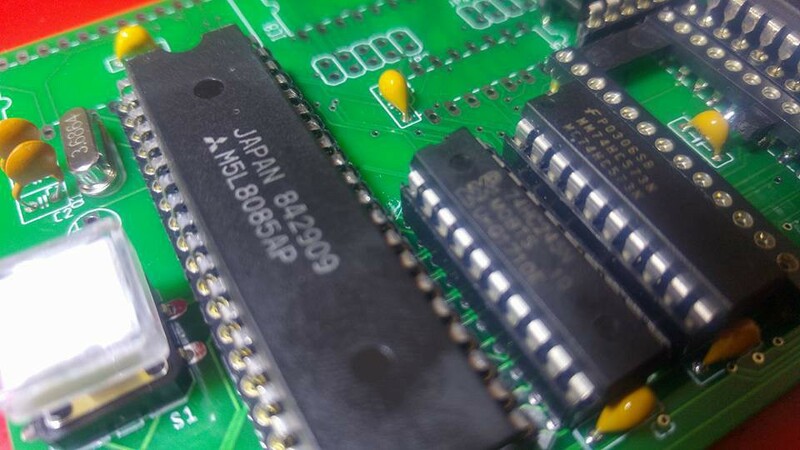 You can set the output file name, you can suppress the generation .lst, or explicitly determine the processor type and format of the output file (besides HEX and S record it can output .COM files for CP/M, .PRG for C64 emulators, or SNA and TAP for ZX Spectrum). Machine type can be omitted. Right CPU is determined by file name extension (-m option overrides this decision). These parameters are described on page NPM package ASM80. Overview of the syntax and directives can be found on GitHub Pages. Having the opportunity to directly link public code, for example on GitHub. Thanks for the tips and suggestions. You can send them straight to the GitHub Issues.